Tehran, Apr. 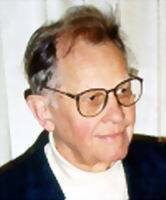 18 (CHN) - Professor Richard Nelson Frye, a great American Iranologist, has asked in his will for his body to be transferred and buried in the land of Iran, in the historical city of Isfahan. Frye is an emeritus Harvard professor in central Asian studies who still gives lectures promoting Iranian history and culture. Frye graduated from Harvard in 1946, taught at several universities including Habibiya College in Kabul (1942-44), Harvard University (1948-90), Frankfurt University (1959-60), Hamburg University (1968-69), Pahlavi University of Shiraz (1970-76), and University of Tajikistan (1990-92), and was the founder of the Center for Middle Eastern Studies at Harvard. He has written many books on Iran, some of which are "the heritage of Persia" (1962), "the golden age of Persia" (1975), and "Greater Iran, a 20th century odyssey" (2005) which is a memoir of his. He loves Iran so much that has been entitled as "Irandoust" (the one who is a friend of Iran). The name was given to him first time by Ibrahim Pourdavoud, the great Iranian scholar (1885-1968) who conducted invaluable research on Avesta - the Zoroastrian holy book- and from then on, he himself used it in his writings. In his most recent visit to Iran last year, Professor Frye succeeded to get the permission of officials of the historical city of Isfahan to be buried there. He wants his body to be transferred to Isfahan and be buried in a tomb in the riverside of Zayanderoud, the river that passes through the city. "I will write of the Great Iran to the last moment of my life," writes Frye.